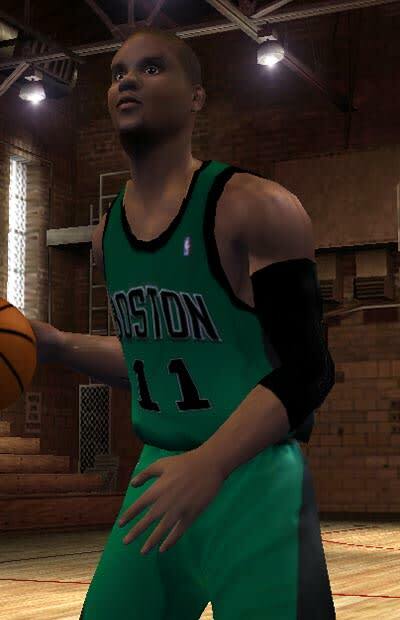 Codename Shrek may be accustomed to coming off the bench nowadays, but his fierceness down in the paint is unrivaled in the Eastern Conference. However, despite his nickname, his hefty waistline isn't so much a carryover from his infancy as much as it is from spending too much time at the comped hotel bar. We're pretty sure he spends most of the game imagining Ray Allen as a half-rack of ribs running around the court, so Doc Rivers would be wise to keep them as far apart as possible.